I’ve recently finished up a year of work on a Star Trek project jointly produced by K. K. DeAgostini Japan and Midsummer Books U.K., which would have seen the creation of a large, very detailed, 28-inch-long model of the Enterprise-D, built over time with subscribers receiving a few hull parts and internal decks every week or so. Each issue of the subscription would have included blueprints and color pages related to missions, episodes, and technical briefings. The model project was cancelled, unfortunately, but some of the printed material - much of it brand new - may eventually see publication. 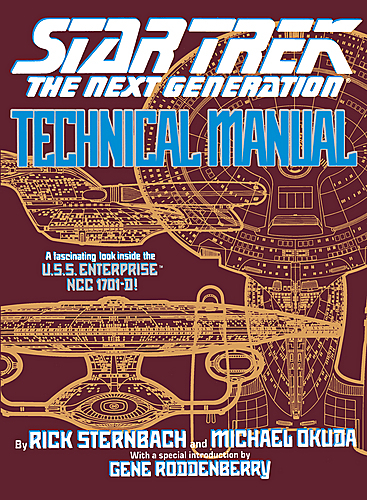 I hope the new content does find an output soon (never can there be too many Star Trek technical books), and the model sounds kind of interesting too; if it was building not just the usual outside of the ship, but the internal decks too? !